The least you can do is pair me with some craft beer. 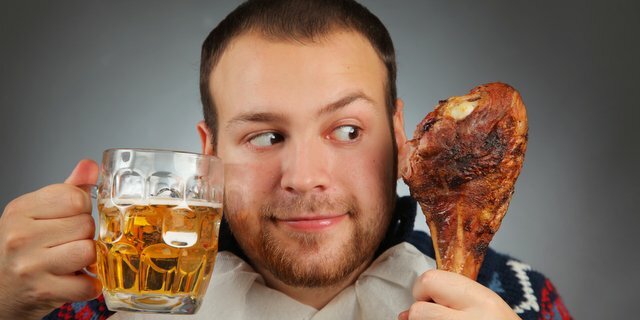 Beer pairings are a growing trend with restaurants around the country and, according to this post on Restaurant Hospitality, they fit perfectly on your Thanksgiving table next to the turkey, stuffing and mashed potatoes (and conversations with your uncle). He suggests the La Fin Du Monde from Unibroue. The triple-style golden ale has a floral bouquet with notes of honey, spice and coriander that pair well with rich, gamey roast turkey, he says. Kobus also has suggestions for green bean casserole, tart cranberry sauce and pumpkin pie. Check out Restaurant Hospitality to round out your holiday celebrations.